That’s right, one shot of tequila a day, keeps the doctor away! Well, it does. Or at least the Blanco tequila does (the colorless kind). And, what better way to start off your day, or continue your day, or even end your day, with a shot? I know I was ecstatic the second I found out this delicious alcoholic beverage had health benefits, whereas other types of alcohol do not have health benefits. To start, tequila elevates your mood. Unlike other alcohols that are considered depressants, tequila is an “upper,” or so everyone says. Even though this alcohol contains a depressant known as ethanol, I don’t remember the last time I saw someone sad holding a margarita, do you? Tequila contains agavina. This sugar comes from the leaf of an agave plant and triggers insulin production in the bloodstream to maintain a low blood sugar level. Agavins also lower triglycerides, which in turn lowers cholesterol. A double whammy for a health benefit, don’t you think? It leaves you hangover-free, or almost hangover-free. The “blanco” and “silver” tequilas do not contain sugary syrups. These tequilas are also not aged in wood. This, in turn, means that these tequilas do not contain congeners, or chemical impurities that are extremely rough on your systems. Put all these factors together and you end up with a hangover-free morning and day. Isn’t that reason enough to stick to tequila over other alcohols? Tequila is said to numb pain. Once you drink tequila, it enters your blood stream and dilates your blood vessels. This actually helps your body by transporting blood quicker and more efficiently throughout the body. With an adequate amount of blood reaching all body parts and surfaces, your body is numb from any physical pain (this may partially tell you why your friend in high school ran into a wall at a party and felt nothing, followed by another shot of tequila). Tequila is also said to help with emotional pain, but we knew that already, didn’t we? For those of you trying to avoid caloric-based drinks, but still want to have a drink, tequila would be the right choice. 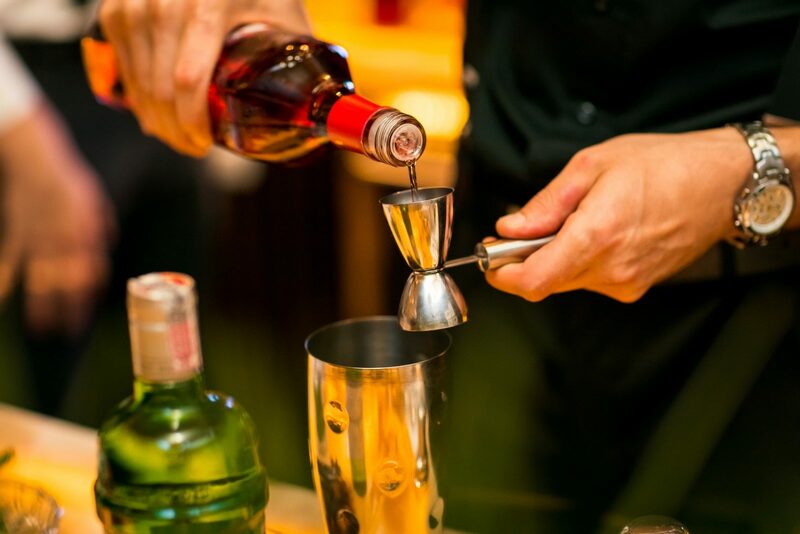 With this alcohol being less caloric, it in turn provides drinkers with more of a richer taste. Plus, I don’t know about you, but I can drink a shot of tequila without any type of chaser. Some salt and a lime may tingle your taste buds a tad more, but you’ll never have to mix tequila with any type of juice or mixer to enjoy it. Not adding a juice or mixer also aids in the avoidance of a next-day hangover. Surprisingly enough, tequila acts as a probiotic. Probiotics are healthy bacteria that lives in and naturally populate your intestines. They are responsible for the upkeep of your immune system and make sure that everything is going properly. Some of the fructans which tequila is derived from aid in the upkeep of probiotics in your immune system. *Hint: This act of tequila aiding in probiotic upkeep is only valid if you drink it in moderation. Like I said earlier, one shot of tequila a day, keeps the doctor away. If you drink too much tequila daily, the alcohol will end up killing your probiotics in the intestines instead of aiding them. 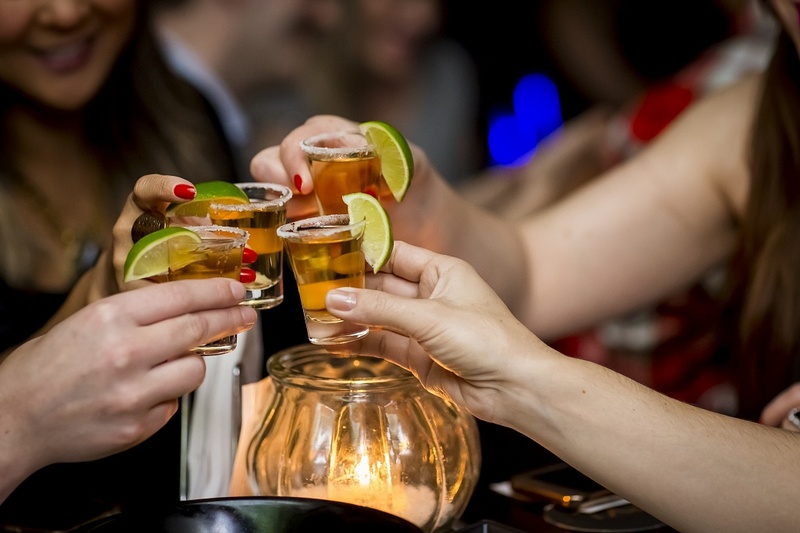 Shots of tequila actually help your daily eating habits. A shot before lunch will stimulate the appetite, allowing you to eat a little bit extra earlier in the day instead of late at night. And, a shot after dinner can aid in nightly digestion, allowing for a nice relaxing evening. Experts say to pair this with a glass of water to obtain the best results. Believe it or not, tequila is said to help cure the common cold. Back in the 1930’s, Mexicans used to prescribe a shot of tequila a day, with some salt and a slice of lime, and within no time, the common cold would whither away. Today, it is said that some people put a shot of tequila in their tea and drink it before bed. They also say that it soothes cold symptoms and allows for a better nights’ rest. But remember, even though tequila is good for you and your health, that doesn’t mean getting drunk off it every night is the way to go. One shot of tequila a day has many health benefits, several shots of tequila a day will just take a tole on your liver and become less beneficial day by day. If I were you, I would consider changing my drinking habits from vodka, rum, and whiskey, to tequila. Hell, I’ve already made that transition, and I enjoy waking up hangover-free and sporting a great attitude and smile every morning (not to mention the attitude and smile I express while drinking the tequila). You enjoy a delicious drink without need for a chaser, you save the caloric intake and are able to indulge in some other food or drink instead of using up your calories with liquor, you enjoy the next day hangover-free, and, you’re in a great mood while doing all of it. There’s so many wins in this situation that I can’t even call it a win-win situation, because that would leave out so many other win’s in the win-win situation (ha ha).